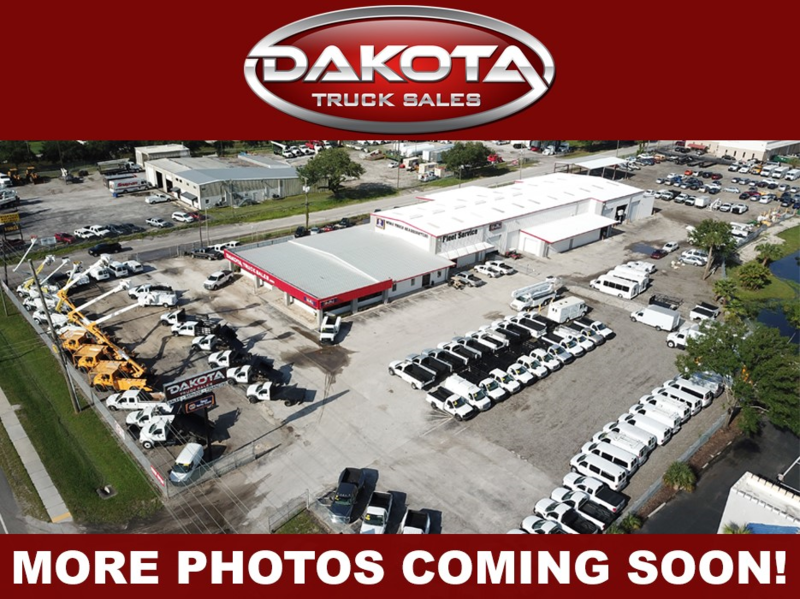 Flatbed with ladder racks, 2 door, dually, integrated trailer brake controller. Bench Seating, RKI Tool Box body, service lights, running boards, recovery hooks. 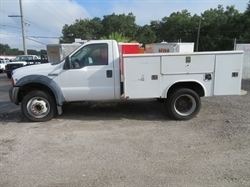 Hello, I would like more information about the 2005 FORD F-350 REG CAB UTILITY/SERVICE BODY, stock# 26702. 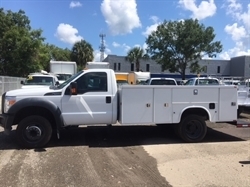 Hello, I would like to see more pictures of the 2005 FORD F-350 REG CAB UTILITY/SERVICE BODY, stock# 26702. 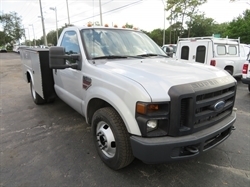 Ready to drive this 2005 FORD F-350 REG CAB UTILITY/SERVICE BODY? Let us know below when you are coming in, and we'll get it ready for you.